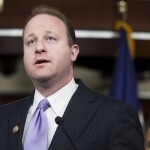 Jared Polis, a Boulder Democrat who represents part of Colorado ski country in Congress, scolded his colleagues for “skipping town” for the holiday break without dealing with two critical issues impacting children’s health and young immigrants brought to this country by their parents but now facing deportation. The House of Representatives passed a short-term budget by a vote of 231-188, extending government funding until Jan. 19. Thirteen Democrats crossed the aisle to vote with Republicans, and 16 Republicans went the other way. The Senate then passed the spending bill 66-32. “Congress skipped town before passing a long-term budget or finding a solution for dreamers who rely on the Deferred Action for Childhood Arrivals (DACA) — or for the children and pregnant women who rely on the Children’s Health Insurance Program (CHIP),” Polis said in a prepared statement. 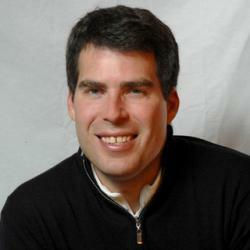 “I thought we all learned in grade school that there’s no recess before finishing our work. Congress should have stayed in session instead of creating a new potential government shutdown in January,” added Polis, who is seeking the Democratic nomination to run for governor in 2018. The CHIP program, which Colorado relies on to insure certain children and pregnant women, has been in place for 20 years but was allowed to expire last fall by the Republican-controlled Congress. The spending bill contained a short-term funding fix, but those funds may not reach some states in time. Colorado had been using stop-gap funding for the program but was about to run out of money at the end of January. Gov. John Hickenlooper urged the state legislature to step in to fund the program temporarily while Congress worked on long-term funding for the program. State lawmakers did that on Thursday. 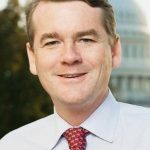 In the U.S. Senate, Democrat Michael Bennet also voted against the spending bill, insisting Congress deal with CHIP and DACA. The Trump administration opted not to uphold DACA this fall, instead allowing nearly 800,000 young immigrants who registered with a federal program put in place in 2012 to swing in the proverbial wind as Immigration and Customs Enforcement agents around the nation step up detention and deportation efforts. DACA recipients, also known as Dreamers, were issued work permits and allowed to study in the United States if they passed background checks and stayed out of trouble with the law. President Donald Trump had promised to show them compassion — recognizing they knew no other country and were brought here illegally by their parents at a very young age — but has since allowed the Dreamers to remain in limbo. Democrats wanted Congress to permanently codify the program into law before approving a spending measure that allows for stepped up immigration enforcement, but now that issue has been once again delayed until January, making for a very nervous Christmas for thousands of young immigrants. Bennet decried the Senate’s failure to vote on the Dream Act he co-sponsored with Colorado Republican Sen. Cory Gardner to give DACA recipients permanent protections. Bennet also blasted Trump and Republicans for passing what he deemed a massive tax cut for the richest Americans while allowing the poorest and most vulnerable to suffer healthcare and immigration challenges.